Regional Missions are those ministries that serve and bless our own community and region. ​we take seriously the command to love our neighbors as ourselves. Amnion Pregnancy Center is a Christ-centered ministry committed to sharing the gospel message and upholding the sanctity of human life by providing compassionate life-affirming services to women and men facing an unplanned pregnancy and related issues. Anselm House is a community that’s been serving the University of Minnesota—and the surrounding community—for more than 30 years. Our mission is to connect faith and knowledge with all of life. We create space for dialogue through discussions and shared meals at our study center. Small groups gather to study books in reading groups. We convene speakers and lecturers for large public events. Scholars across vocations, artists across disciplines, and theologians across denominations come to speak at seminars and lectures that spark dialogues. We offer a curricular program for a small group of students who want to dig even deeper. Feed My Starving Children is a non-profit Christian organization committed to feeding God’s starving children; hungry in body and spirit. The approach is simple: children and adults hand-pack meals formulated specially for starving children and the meals are shipped to more than 60 countries. HopeKids provides ongoing events and activities and a powerful, unique support community for families who have a child with cancer or some other life-threatening medical condition. We surround these remarkable children and their families with the message that hope can be a powerful medicine. 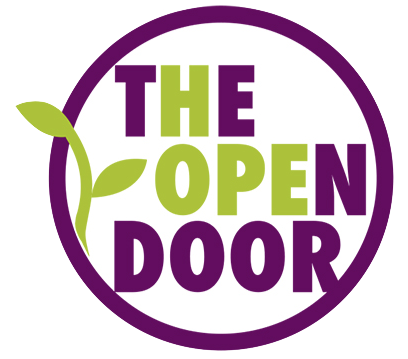 The Open Door is the largest non-profit food shelf in Dakota County with food distribution across the south metro area. Families select their own food–no pre-bagged food. We value wholesome, nutritious foods for families, offering milk, eggs, dairy, meat, chicken, fish, bakery, fruits and vegetables. 70% of the food offered is fresh and perishable. Member of Second Harvest Heartland and Emergency Foodshelf Network food banks.